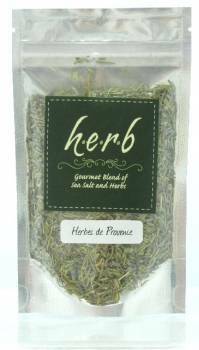 Herbes de Provence w/Sea Salt 3 oz. Seasoning, Herbes de Provence w/Sea Salt 3 oz. Herbes de Provence with Sicilian Sea Salt is a traditional French blend of sweet herbs and flowery lavender. It is a delightful way to flavor grilled foods such as fish and meat as well as vegetable stews and roast. A special twist on this classic herb blend incorporates Trapani sea salt. Add this before or during cooking or mix with olive oil before adding to foods to help infuse the flavors into your favorite dishes.